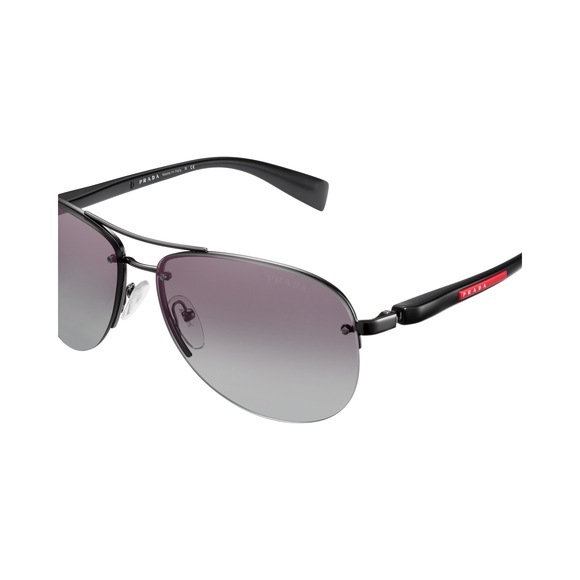 A lifestyle frame with a sleek, distinctive design. 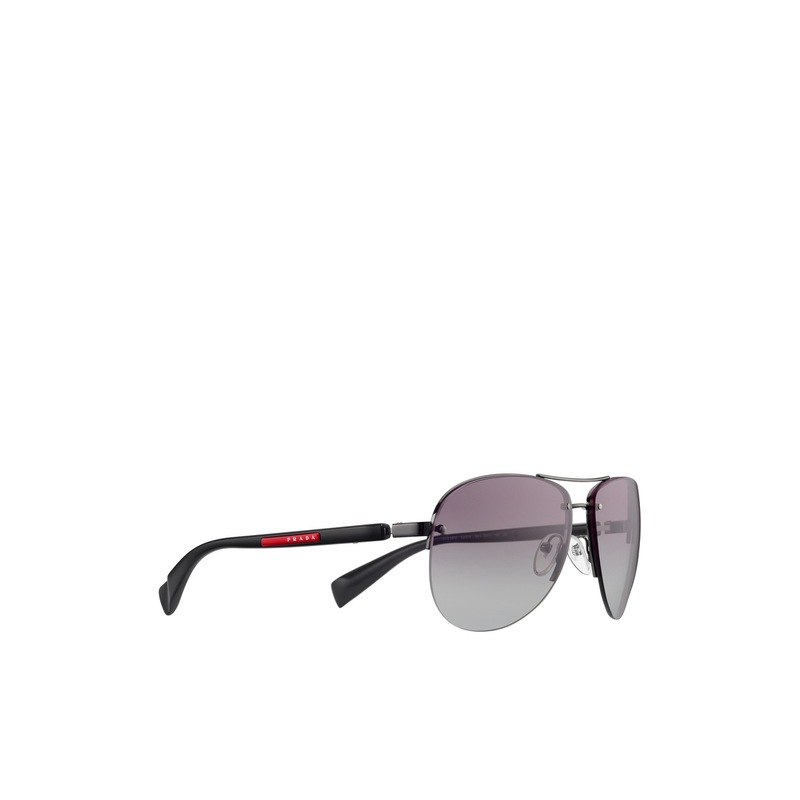 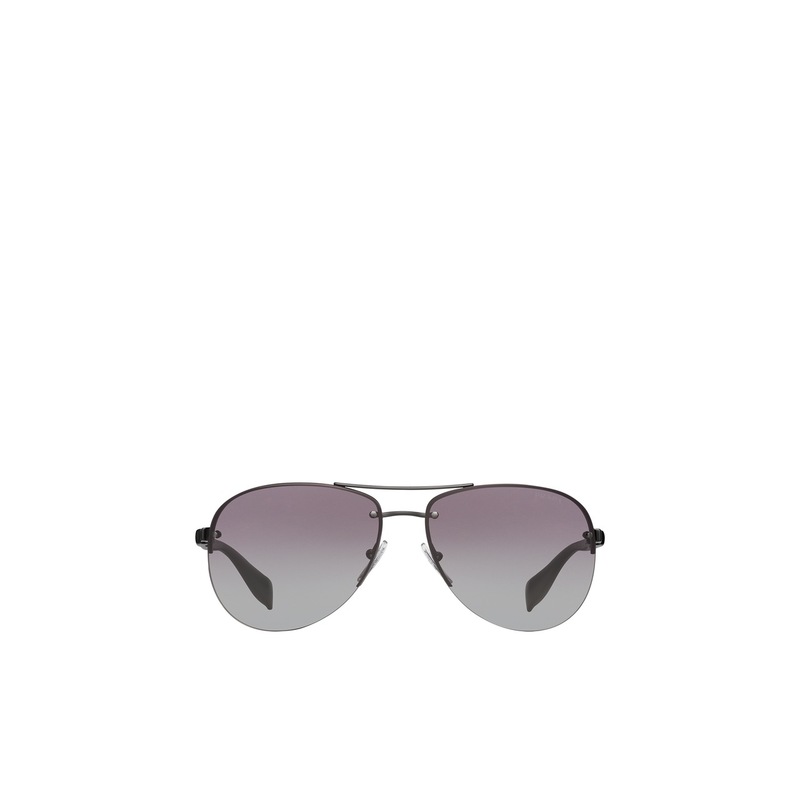 The aviator-style frame front has large rimless lenses. Distinctive metal double bridge. 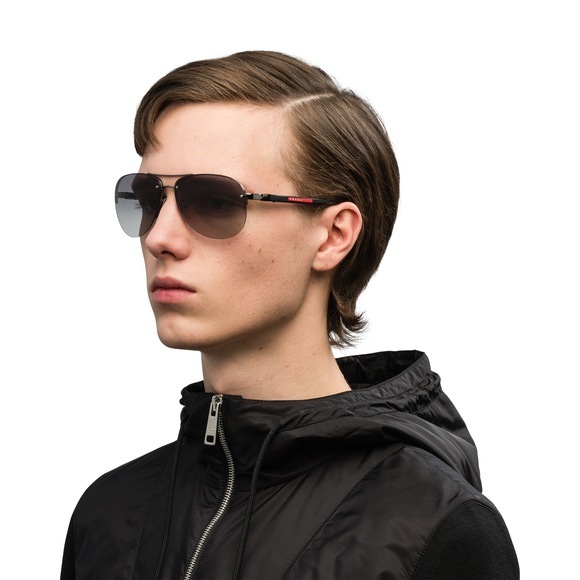 Rubberized temples with the Prada Linea Rossa logo.